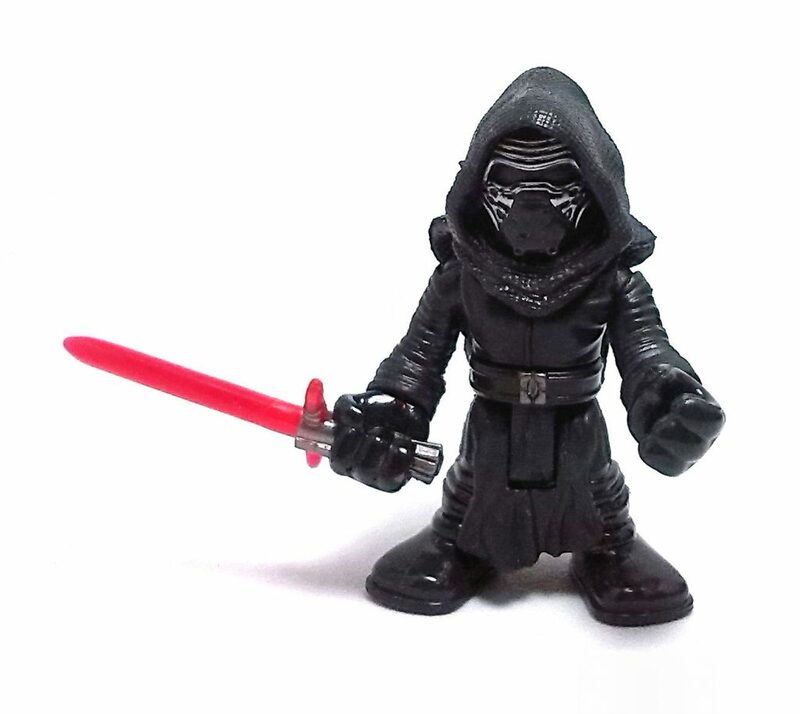 I was pretty excited to learn that Kylo Ren would be coming out in the Playskool/Jedi Force line by Hasbro, even though I am not a big fan of built-in action features. 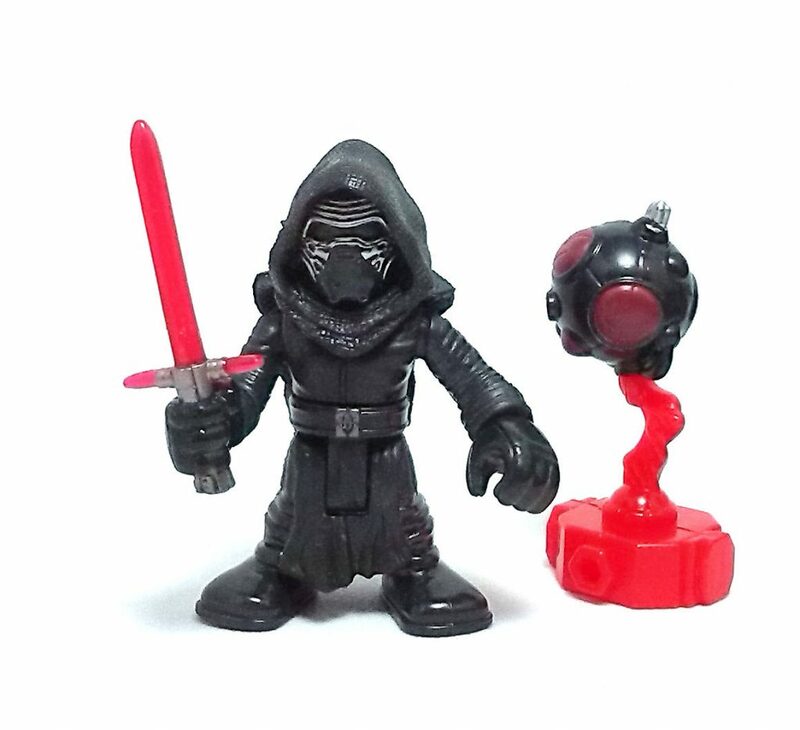 The Playskool aesthetics applied on this particular version of Kylo reminds me a lot of the cartoons drawn by Brian Kesinger, where we get to see different characters from Star Wars existing in the Calvin & Hobbes universe. Kylo’s costume is nicely detailed and even though he lacks any meaningful range of movement at the neck due to the hood sculpt, he sort of gains it back thanks to the built-in action feature. The paint job on Kylo is kept to a minimum, but all of the applications on my figure are pretty neat. 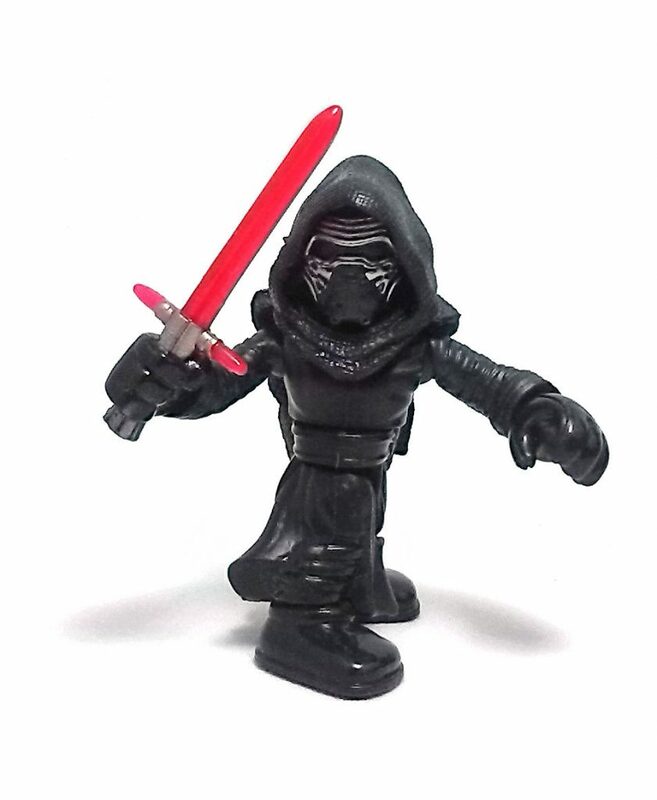 Kylo’s lightsaber is molded into the hand, so both the black glove and the lightsaber hilt are painted over the red, semi-translucent plastic of the blade and pinions. 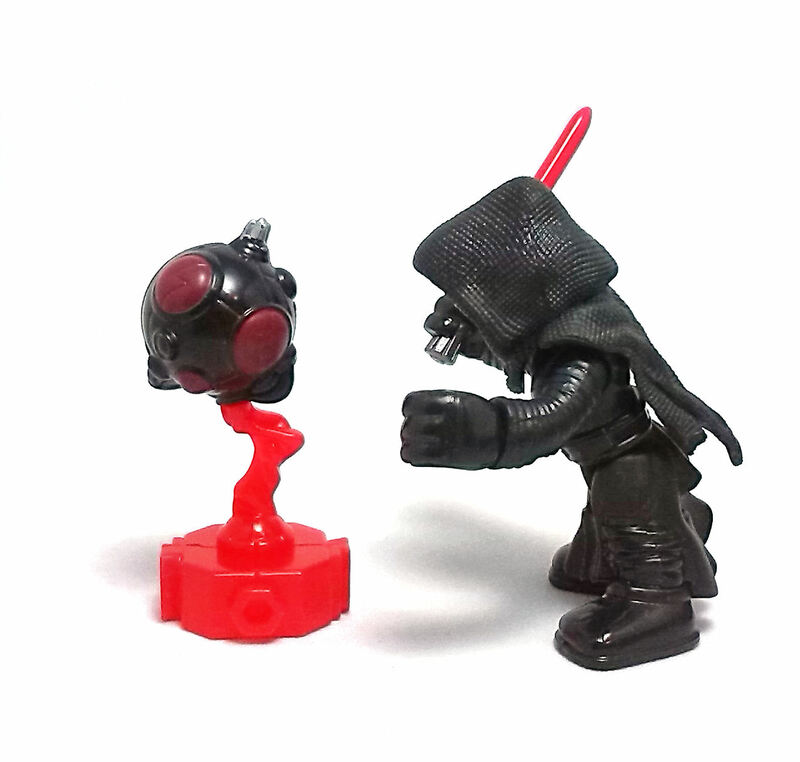 Kylo comes with only one accessory, a Training Remote that resembles the seeker droids used by Darth Maul in Episode I. 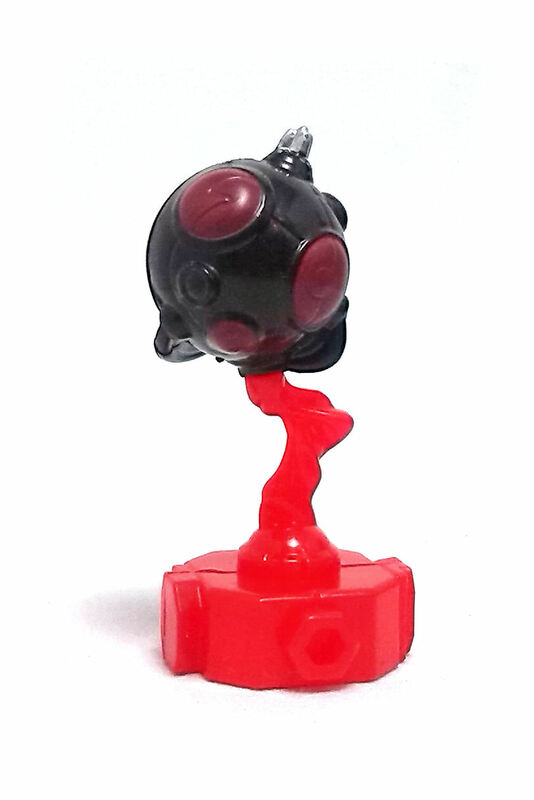 The Remote is made from translucent red plastic but the body was painted in black and maroon, with silver details. 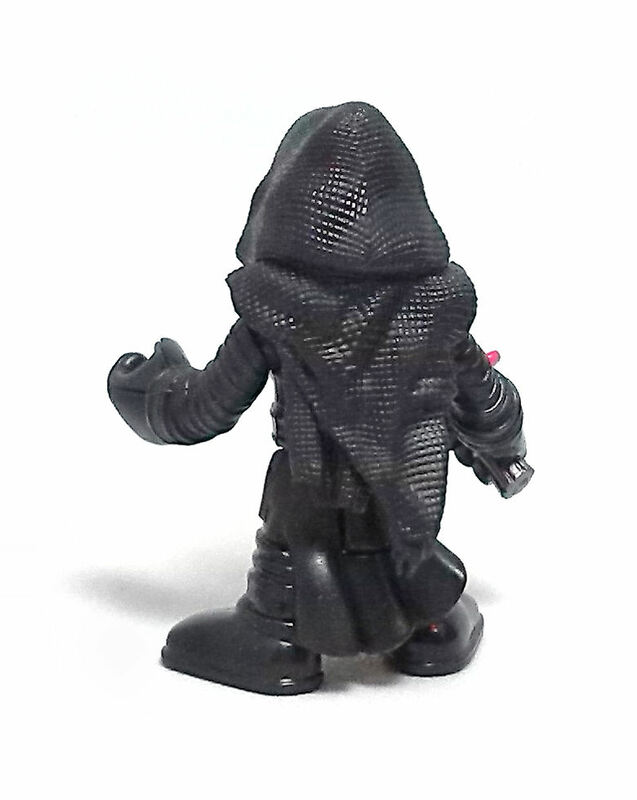 Even though I did not find the interaction of Kylo with his Training Remote to be all that engaging, I really think this is a cool action figure on it’s own merits.